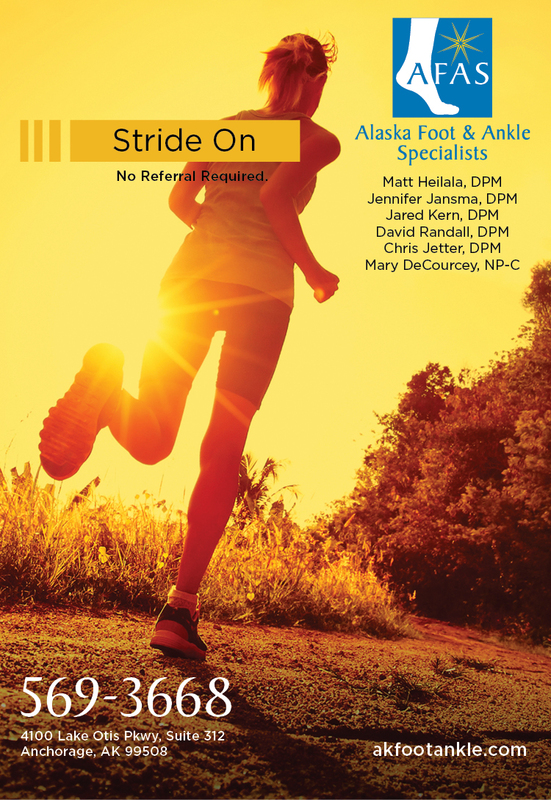 Stride On - Red Carrot Design, Inc.
Alaska Foot & Ankle Specialists (AFAS) is a team of board-certified doctors specially trained to diagnose and treat the foot and ankle. 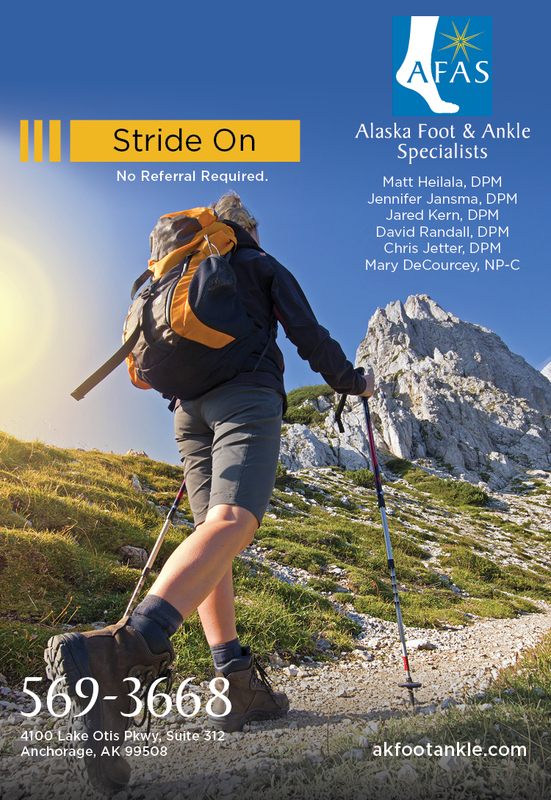 AFAS has medical offices in Anchorage and Wasilla, Alaska. 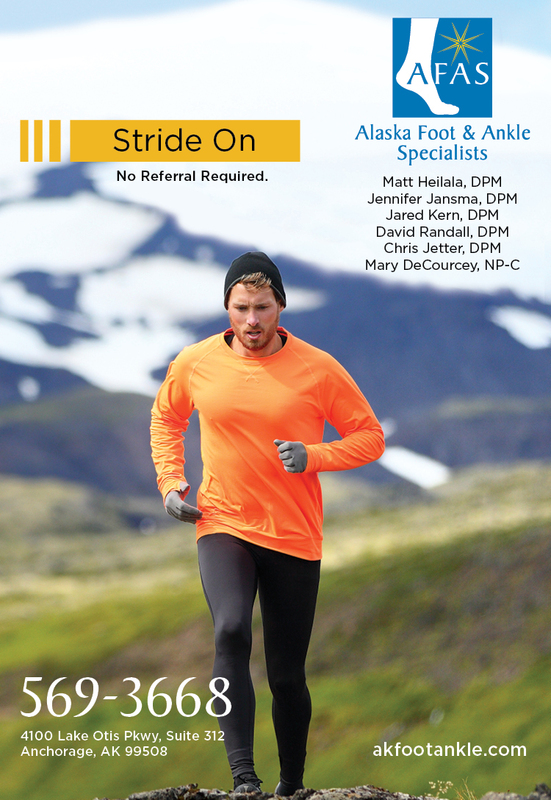 Our Solution: Developed a series of print ads for Alaska Foot & Ankle Specialists. 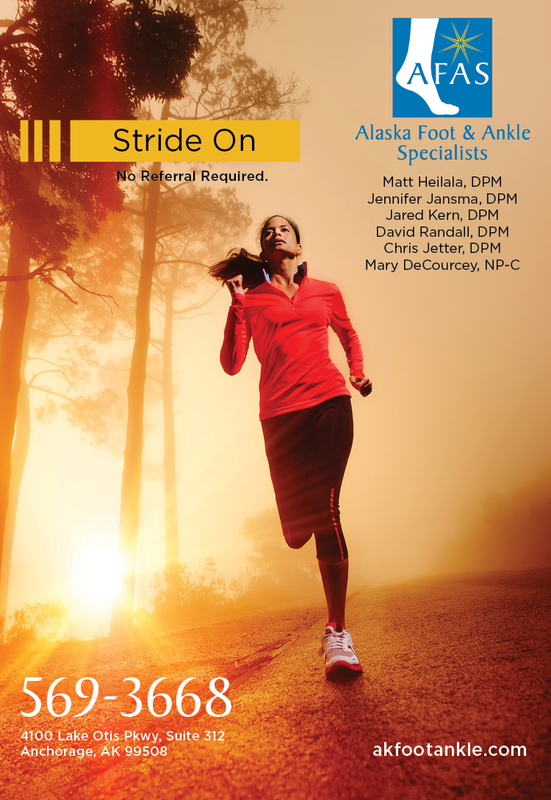 Each print ad highlighted an outdoor activity and promoted the team of foot and ankle doctors at AFAS. The ad campaign created a sense of adventure and motivation to keep going despite the challenges ahead.